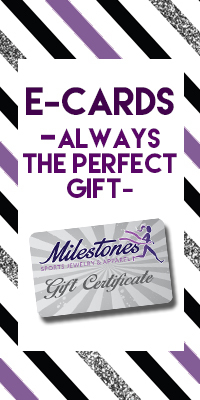 The #1 goal at Milestones is your satisfaction with your purchase and shopping experience. If you aren’t 100% satisfied with your purchase or need to make an exchange just contact our customer service department within 30 days. Please contact us within thirty (30) days of receiving your purchase. All items must be in their original condition for returns and exchanges. Refunds and exchanges for items returned after thirty days of the purchase date will be in the form of a store credit redeemable on your next purchase. We are sorry but the original shipping charges are not refundable. Please note that we do not accept returns at EXPO booths. All returns must be done via our return system online.